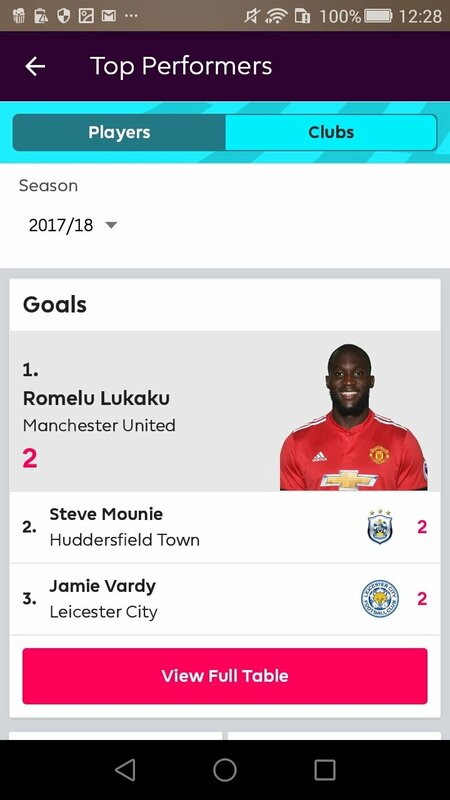 Some people still say that the Spanish league is the best in the world thanks to the stars of the likes of Messi, Cristiano Ronaldo, Modric, Bale, Suárez... but the most exciting championship with the most surprises is the English top flier with its Premier League. No other tournament in the world could be won by a Leicester and it's impossible to conceive that two mid-table teams would end up transferring a player for over 50 million euros, but Britain is special when it comes to football. 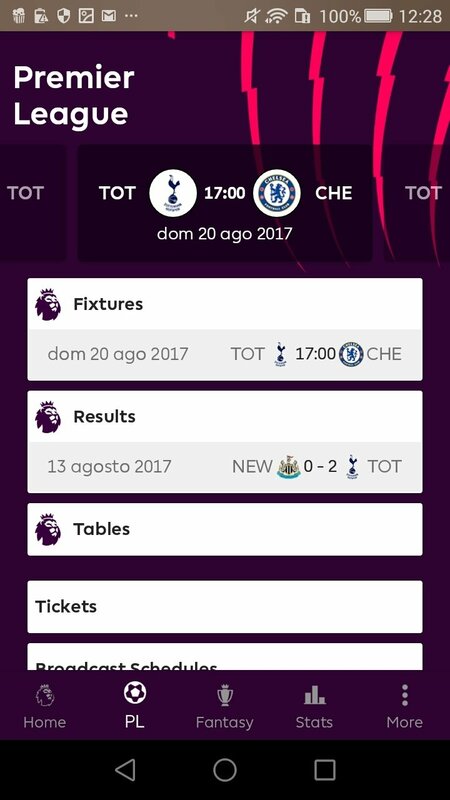 All the information about the Premier League in the palm of your hand. 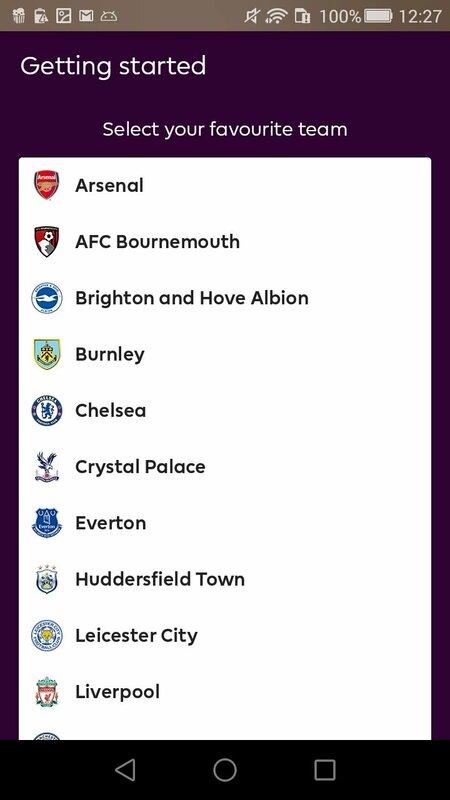 And the best way to follow everything that happens in the 2017-2018 Premier League with all its matches, results, stats, and standings is the application for Android smartphones and tablets, Premier League - Official App, developed the FA. You won't miss out on a single detail about any of your favorite teams: Arsenal, Chelsea, Manchester United, City, Tottenham Hotspur or even Newcastle United. Live scores and tables during each match day. 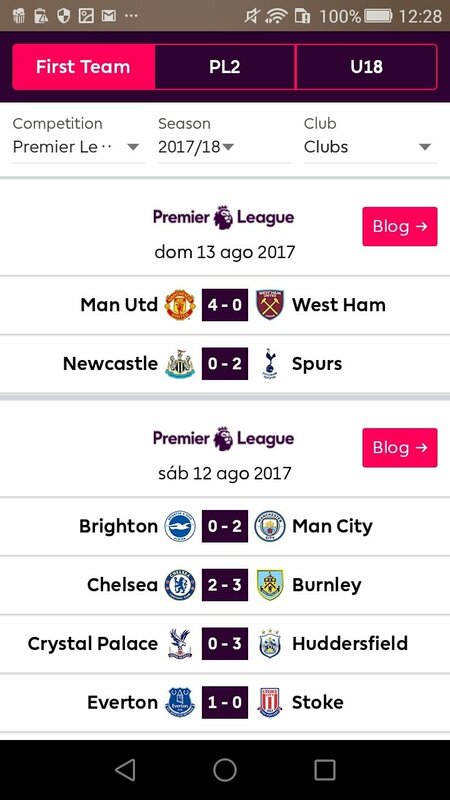 Calendar and results of the entire season. Videos with the best goals and highlights. 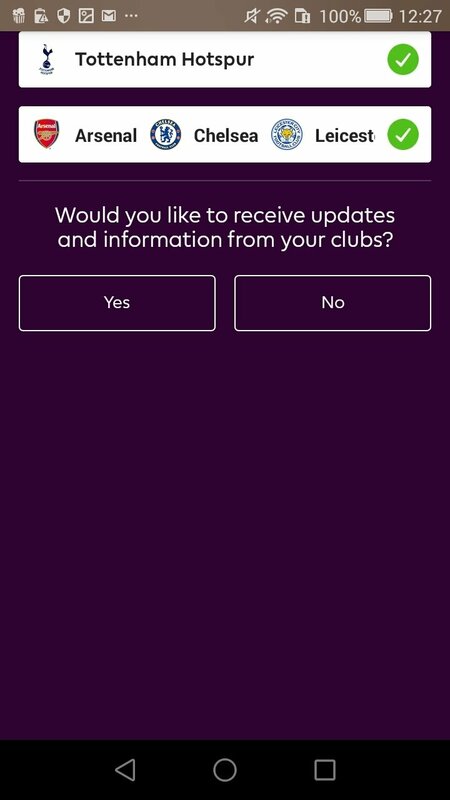 Follow your favorite club in depth. 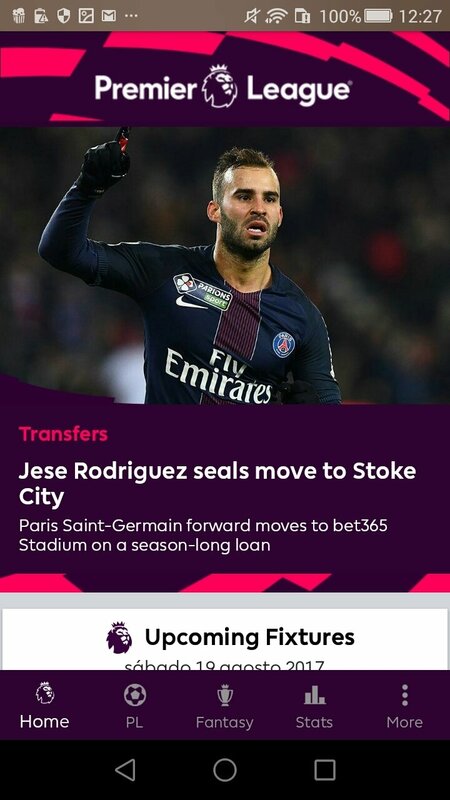 Hottest news about new signings and rumors. 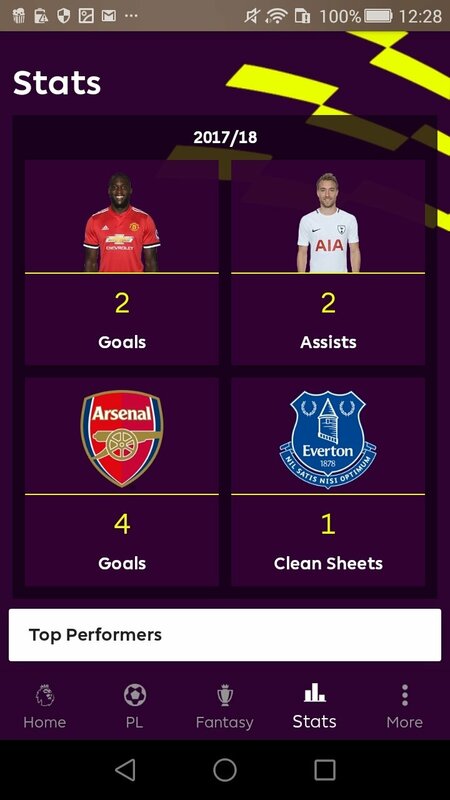 Stats and profiles of every single player and team. 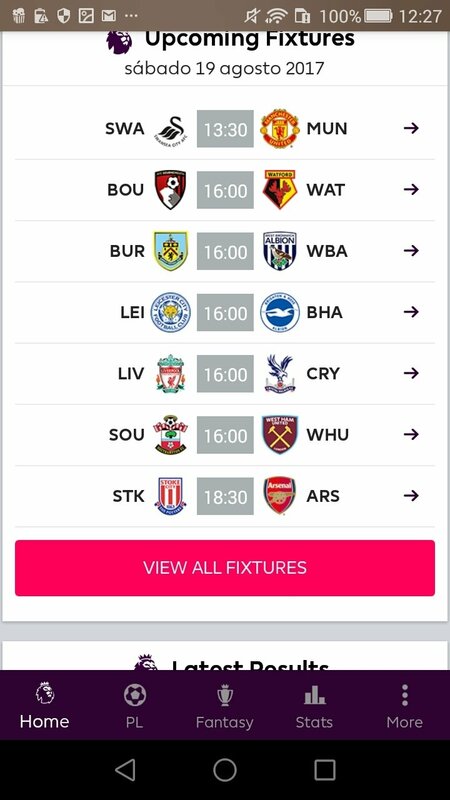 Shortcut to the Premier League's official fantasy football game. 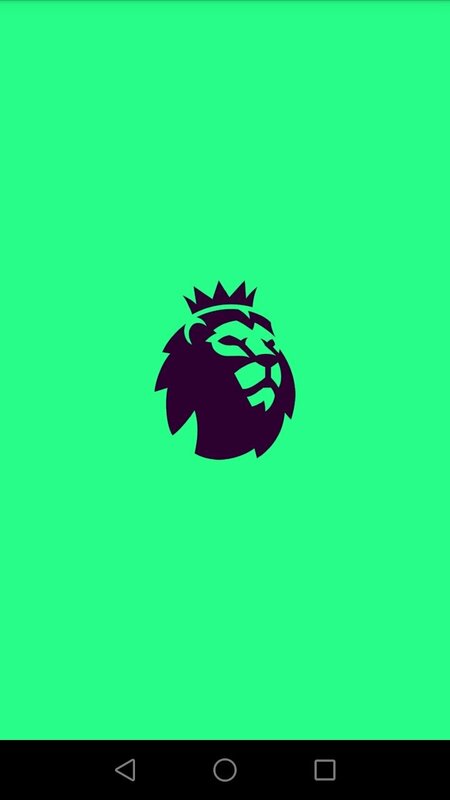 Apart from all the latter, this application which is also available for iPhone and iPad, offers us a very interesting history section with information about all the teams that have played in the Premier League throughout its 25 years of history. 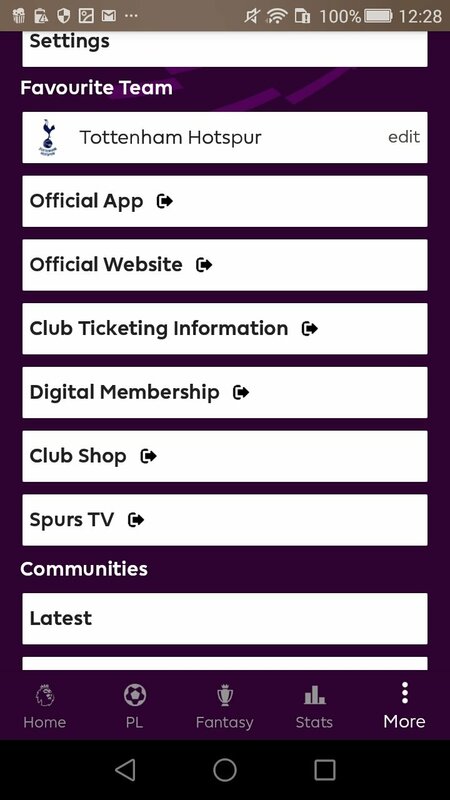 Here you'll be able to find loads of stats that will help you to answer questions of the likes of how many points do you need to win the league? or how many Premier Leagues have Chelsea and Arsenal won?